Draft: 2006, Arizona Diamondbacks, 2nd rd. Brett F. Anderson was originally signed by Diamondbacks scout Joe Robinson…graduated from Stillwater (OK) High School…was a Baseball America 1st Team High School All-America selection in 2006 after going 9-0 with two saves and a 0.37 ERA in 12 games as a senior…struck out 102 and walked just nine in 57 innings…his father, Frank, was the head baseball coach at Oklahoma. Was signed by the A's to a minor league contract March 19 and began the season at Triple-A Nashville before he was selected on May 2…went 4-5 with a 4.48 ERA in 17 starts with Oakland in a season that was interrupted by two stints on the disabled list…was out from May 19 to July 7 with a strained left shoulder and Aug. 28 to Sept. 12 with a strained left forearm…walked just 13 batters in 80.1 innings for an average of 1.46 walks per nine innings…that was a career low and was second lowest in the American League among pitchers with 80 or more innings pitched (Kluber, CLE 1.46)…struck out just 47 but his 3.62 strikeout-to-walk ratio was a career high…his starts and innings pitched were his most since 2015 when he made 31 starts and tossed 180.1 innings with the Dodgers…was 2-1 with a 2.01 ERA and .191 opponents batting average in five starts at home compared to 2-4 with a 6.06 ERA and .335 opponent average in 12 starts on the road…surrendered one home run in 31.1 innings at home, nine in 49.0 innings on the road…is now 14-12 with a 3.48 ERA (97 er in 250.2 ip) in 44 career games in the Coliseum, 32-40 with a 4.35 ERA (276 er in 570.2 ip) in 113 games in all other ballparks…had a 1-2 record, a 6.08 ERA and .356 opponents batting average in six starts at the All-Star Break…then went 3-3 with a 3.81 ERA and .251 opponents average in 11 starts after the break…issued eight free passes in 23.2 innings before the break (3.04 per nine innings) and then walked just five batters in 56.2 innings after the break (0.79 per nine innings)…has a 19-30 career record before the break, 27-22 after the break… allowed a .285 opponents batting average, including .257 (18-for-70) against left-handed hitters compared to .293 (72-for-246) against right-handers…surrendered nine of his 10 home runs to righties…yielded a .333 batting average with runners in scoring position…opponents hit .280 when leading off an inning but he walked just three…was 0-2 with a 5.66 ERA in five starts on four days rest, 4-3 with a 4.07 ERA in 12 starts on five days rest or more…over the last two years, he is 1-3 with a 7.20 ERA (32 er in 40.0 ip) in 10 starts on four days rest, 7-6 with a 4.42 ERA (47 er in 95.2 ip) in 20 starts on five days rest or more…went 1-1 with a 2.61 ERA in four starts during the day, 3-4 with a 5.13 ERA in 13 starts at night…is 17-16 with a 3.46 ERA (111 er in 288.2 ip) in 55 career games during the day, 29-36 with a 4.43 ERA (262 er in 532.2 ip) in 102 games at night…was 0-1 with a 6.75 ERA in two interleague starts and is now 1-7 with a 5.93 ERA (36 er in 54.2 ip) in 11 career interleague starts…went 1-for-4 (.250) as a hitter and is now 8-for-79 (.101) with three doubles, five RBI and six walks in his career…tossed five innings or fewer in 10 of his 17 starts…walked one batter or fewer 14 times and received two runs of support or fewer 10 times. OAKLAND: Was selected from Nashville May 2 and went 0-2 with a 7.63 ERA and .379 opponents batting average in four starts before he was placed on the 10-day disabled list May 19 with a strained left shoulder…allowed two runs in 6.1 innings in his first start May 2 at Seattle but had a no decision in the A's 3-2 win…it was his first start as an Athletic since April 24, 2013 at Boston…allowed a season-high nine runs on a season-high 10 hits and a season-high three walks in just 3.0 innings in his second start May 7 against Houston…left his start on May 18 at Toronto with the shoulder injury after tossing a season-low 1.0 inning…made three rehab starts with Nashville before he was reinstated from the DL July 8…went 3-2 with a 2.90 ERA and .239 opponents batting average in nine starts before returning to the DL Aug. 28 with a strained left forearm…combined with Petit, Buchter and Pagán on a five-hit shutout in the A's 6-0 win at Cleveland July 8…it was his first win as an Athletic since April 7, 2013…tossed five of the innings, allowed three of the hits and walked two…it was the last time he walked more than one batter as he issued one free pass or fewer in each of his final 12 starts (5 bb in 60.0 ip, 0.75 walks per nine innings)…struck out a season-high six batters in a 15-3 win at Texas July 23…those were his most strikeouts in a game since Sept. 15, 2015 vs. Colorado…finished July with a 2-1 record, a 3.98 ERA and .309 opponents average in four…then went 1-1 with a 2.15 ERA and .184 opponents average in five starts in August…did not allow a run in three of his August starts and the game went into extra innings in two of his three no decisions…walked just two batters in 29.1 innings…logged 7.0 shutout innings Aug. 3 against Detroit but had a no decision in the A's 1-0, 13-inning win…allowed a two-run home run to Calhoun in the third inning Aug. 10 at Los Angeles (AL), which was the first home run he surrendered to a left-handed hitter since July 28, 2015 at Oakland (Reddick)…had a season-high 18.2-inning scoreless streak from Aug. 10 to 27…tossed a season-high 7.2 scoreless innings Aug. 15 against Seattle but had a no decision in the A's 2-0, 12-inning loss…it was his longest outing since Oct. 1, 2015 at San Francisco (7.2 ip) and his longest scoreless outing since May 26, 2011 at Los Angeles-AL (8.0 ip)…combined with Familia and Trivino on a two-hit shutout in the A's 6-0 win over Texas on Aug. 21 in Oakland…tossed seven of the innings, allowed one of the hits and matched his season high with six strikeouts…allowed five runs on seven hits in 2.2 innings in an 11-4 loss at Houston Aug. 27 before going on the DL a second time…did not have a rehab assignment before he was reinstated Sept. 13…went 1-1 with a 6.46 ERA and .318 opponents batting average in four starts following his return…tossed 3.1 innings or fewer in three of those starts…combined with Dull, Montas and Brooks on a four-hit shutout in the A's 10-0 win over Los Angeles (AL) Sept. 19 in Oakland…tossed 6.2 innings and allowed three of the hits. Completed his rehab from "Tommy John" surgery in late August and made six starts before his regular season ended when he strained his right oblique Sept. 19...went 4-2 with a 2.57 ERA and .225 opponents batting average...allowed just one home run in 35.0 innings...his opponents batting average included a .219 (7-for-32) mark against left-handed hitters compared to .227 (22-for-97) against right-handers...had 22 of his 25 strikeouts against righties...allowed a .148 average with runners in scoring position...opponents were 0-for-10 with RISP and two outs...has held the opposition to a .214 (44-for-206) batting average with runners in scoring position over his last three seasons after allowing a .314 mark in his rookie campaign of 2009...had a .194 opponents batting average the first two times through the lineup, .323 with his only home run after that...walked just one batter to lead off an inning...was 2-0 with a 1.38 ERA in his two starts in Oakland compared to 2-2 with a 3.27 ERA in four starts on the road...logged a 3-1 record, a 1.61 ERA and .188 opponents batting average in four starts at night compared to 1-1 with a 4.26 ERA and .286 opponents average in two starts during the day...had one pickoff and now has 14 in his 68 career starts...opponents were 1-for-2 in stolen bases attempts...they are now 14-for-27 (51.9%) over the last three years after going 14-for-18 (77.8%) during his rookie campaign...received no run support in each of his two losses...is now 2-21 in 34 career starts with run support of fewer than three runs, 23-4 in 34 starts with support of three runs or more...the A's were 4-2 (.667) in his starting assignments and are 31-37 (.456) in his career...tossed at least six innings in five of his six starts, allowed one run or fewer four times and walked two batters or fewer five times. Lowered his ERA by more than a run from his rookie campaign of 2009 but two stints on the disabledlist with elbow problems limited him to just 19 starts in 2010 ... was 7-6 with a 2.80 ERA after going 11-11 with a 4.06 ERA in his first season ... tossed 112.1 innings and did not qualify for the league leaders ... however, based on a minimum of 100 innings pitched, he ranked fifth in the American League in ERA ... also ranked fourth in fewest home runs per nine innings (0.48), fifth in fewest walks per nine innings(1.76) and lowest run support (3.53), eighth in strikeout to walk ratio (3.41) and ninth in opponentsslugging percentage (.353) ... is now 15-10 with a 2.88 ERA in 36 starts since June 29, 2009 ... his ERAis second lowest among AL pitchers with 200 or more innings pitched over that span (Hernandez, SEA2.33) and sixth lowest in the majors ... opponents batted .257, which included .243 (80 for 329) by righthandedhitters and .299 (32 for 107) by left-handers ... his career splits are .246 (203 for 826) against righties and .308 (89 for 289) against lefties ... allowed all six of his home runs to righties ... five came athome, five were hit in night games and five were with the bases empty ... his opponents batting averagedropped to .225 with runners in scoring position after yielding a .314 average with RISP in 2009 ... however, the opposition hit .315 when leading off an inning ... received run support of one run or fewerin eight of his 19 starts and was 0-5 in those games ... had a 7-1 record in his 11 starts with support oftwo runs or more ... is now 0-14 in 20 career starts with zero or one run of support and 18-3 in 29 startswith at least two runs of support ... tied for eighth in the AL with four pickoffs and now has eight in twoseasons ... the A's were 8-11 (.421) in his starting assignments and are 22-27 (.449) in his career ... tossedsix or more innings 14 times, allowed two runs or fewer 13 times and walked two batters or fewer in18 of his starts. OAKLAND: Did not allow a run in his first two starts of the season April 8 against Seattle and April 13at Seattle to become the first starting pitcher in Oakland history (among pitchers who began the seasonwith the A's) to start the season with two consecutive scoreless outings ... the last Athletics pitcher to doit was Alex Kellner of the 1953 Philadelphia A's, who started the season with back-to-back completegame shutouts ... was charged with the first wild pitch of his career in the game on the 13th, snapping acareer-opening streak of 31 starts and 186.1 innings without a wild pitch ... the streak of 31 consecutivestarts without a wild pitch tied for sixth longest by a starter in Oakland history ... agreed to terms April16 on a four-year contract through the 2013 season with club options for 2014 and 2015 ... had hisseason-opening scoreless streak snapped at 14.0 innings in his third start, an 8-3 loss to Baltimore ... that was the third longest season-opening streak by a starter in Oakland history and the longest sinceMatt Keough set the record with a 16.0 inning streak in 1980 ... was 1-1 with a 2.35 ERA in four startsbefore going on the 15-day disabled list April 27 retroactive to April 25 with left elbow inflammation and a proximal medial forearm strain ... it was his first career stint on the DL ... made one rehab start withTriple-A Sacramento May 24 against Nashville and had a no decision in the River Cats' 8-3 win (3.0 ip,6 h, 2 r, 2 er, 1 bb, 1 so, 1 hbp) ... was reinstated from the DL May 29 and had a win and a 2.35 ERA intwo starts before returning to the DL with left elbow inflammation June 4 ... made four more rehab stats,going 0-0 with a 3.00 ERA in two starts with the A's affiliate in the Arizona Rookie League and 1-0 witha 3.48 ERA in two starts with Sacramento, before he was reinstated July 30 ... went 5-5 with a 2.98 ERAin 13 starts following his return ... yielded a career-high tying 10 hits in 5.1 innings in a 6-1 loss July 30at Chicago but picked up the win in his next start Aug. 4 against Kansas City ... then had a career-hightying four-game losing streak from Aug. 10 to Sept. 1 ... went 0-4 despite a 3.21 ERA over that five-startspan, receiving no run support three times, including Aug. 27 at Texas when he left after 2.0 innings witha mild hyper extension of his right knee ... the 2.0 innings pitched matched his career low (June 3, 2010at Boston) ... then finished the season with a career-high tying four-game winning streak, posting a 2.18ERA and holding the opposition to a .233 batting average over his final six starts ... walked a season-highthree batters Sept. 11 against Boston, snapping a 22-start streak dating back to Aug. 19, 2009 where hewalked two batters or fewer ... that was the second longest streak by a starting pitcher in Oakland history,falling four short of the record of 26 by Gil Heredia (April 10-Aug. 28, 1999) ... went 3-1 with a 2.23ERA and .237 opponents batting average in six starts in September ... is now 7-1 with a 2.25 ERA (16 erin 64.0 ip) in 10 career starts in September and is 11-16 with a 3.94 ERA (98 er in 223.2 ip) in 39 startsthe rest of the season. Was one of two 21-year olds to spend the season in the A's starting rotation...set an Oakland rookierecord with 150 strikeouts...led the A's pitching staff in strikeouts and wins (11) and finished secondin starts (30)...compiled an 11-11 record and 4.06 ERA...led all Major League rookies in strikeouts...tied for third among American League rookies in games started, ranked fourth in innings pitched (175.1)and tied for fourth in wins...had one of five shutouts by an AL rookie and one of 11 complete games...his strikeouts broke the previous Oakland rookie record of 141 set by Rick Langford in 1977...fellone short of the Oakland rookie record of 12 wins set by Chris Codiroli in 1983 and matched by JoeBlanton in 2005...became the eighth Oakland rookie to make 30 or more starts...is one of four 21-yearolds in Oakland history to win 10 or more games and his 30 starts tied for fifth most in Athletics historyby a pitcher under the age of 22...fellow 21-year old Trevor Cahill had 10 wins in 32 starts, makingthe A's the 13th team since 1900 to have two pitchers under the age of 22 win 10 or more games (last:Kansas City, 1984, with Mark Gubicza and Bret Saberhagen) and the fourth with 30 or more starts (last:Chicago-AL, 1980)...was 3-7 with a 5.74 ERA, .304 opponents batting average and 13 home runsallowed over his first 13 starts...then went 8-4 with a 2.96 ERA, .237 opponents batting average andseven home runs over his final 17 starts, beginning June 29...his ERA from June 29 through the end ofthe season was fourth best in the AL behind Lester (2.35), Greinke (2.37) and Hernandez (2.44)...wascharged with 15 unearned runs, which tied for the most in the AL (Hernandez, SEA)...also ranked tiedfor fifth in grounded into double plays (24), tied for seventh in shutouts (1) and pickoffs (4), eighth inwalks per nine innings (2.31) and strikeout to walk ratio (3.33), and 10th in strikeouts per nine innings(7.70)...received run support of one run or less in 12 of his 30 starts and his season run support of 4.62was eighth lowest in the AL...was 11-2 in 18 starts with run support of two more...did not have a wildpitch and his 175.1 innings were the most in the majors among pitchers with no wild pitches...they werethird most in Oakland history behind Catfish Hunter (234.0 ip in 1968) and Steve McCatty (185.2 ip in 1981)...allowed a .265 opponents batting average, which included a .247 (123 for 497) mark againstright-handed hitters and .313 (57 for 182) against left-handers...yielded a .314 average with runners inscoring position, which was fifth highest in the AL...however, that marked dropped to .239 from June 29through the end of the season...opponents were 7 for 13 (.538) with a grand slam and 15 RBI with thebases loaded...compiled a 7-4 record and 3.14 ERA in 17 starts on five or more days rest and was 4-7with a 5.19 ERA in 13 starts on four days rest...was 5-3 with a 3.27 ERA in 11 starts during the day and6-8 with a 4.53 ERA in 19 starts at night...did not commit an error in 29 total chances, all assists...since1954, the only other pitchers to make at least 30 starts in a season without recording a putout are RandyJohnson (SEA, 1991) and Bob Veale (PIT, 1970)...tied for the lead among AL pitchers in double plays(5) and tied for fourth in assists...the A's were 14-16 (.467) in his starting assignments... tossed six ormore innings 16 times, allowed two runs or fewer 11 times and walked two batters or fewer 25 times...was ranked number 7 on Baseball America's Top 100 Prospects lists entering the season. Combined for an 11-5 record and a 3.69 ERA in 20 games, 19 starts, with Single-A Stocktonand Double-A Midland in his first season in the A's organization...also pitched for the United Statesteam in the All-Star Futures Game at Yankee Stadium July 13 (1.0 ip, 1 h, 1 bb) and for Team USA inthe Summer Olympics in Beijing, China...was 1-0 with a 4.97 ERA (12.2 ip, 13 h, 8 r, 7 er, 3 bb, 10 so,2 hr) in two starts during the Olympics...was rated as the A's number one prospect and the fourth bestprospect in the California League by Baseball America following the season...was also tabbed as havingthe Best Slider and Best Control in the magazine's Best Tools survey for A's prospects...with Stocktonand Midland, he allowed a .237 opponents batting average, which included a .234 mark by right-handedhitters and .245 by left-handers...opponents hit .235 with runners in scoring position...struck out 118and walked just 27, a strikeout to walk ratio of 4.4 to 1...averaged 10.1 strikeouts per nine innings...allowed eight home runs in 105.0 innings, an average of one per 13.1 innings...six of the eight homeruns were solo shots...began the year at Stockton and was 9-4 with a 4.14 ERA in 14 games, 13 starts...tied for the team lead in wins despite spending just three months with the Ports...did not allow a runin four of his first six starts, including each of his first two, to start the season 5-1 with a 2.43 ERA...capped that stretch by striking out 10 in 7.0 shutout innings May 1 at Visalia...went 4-0 with a 1.82 ERAover his final five games, four starts, with Stockton...was named California League Pitcher of the Week,June 9-15...won both of his starts and allowed just one run in 14.0 innings, while striking out 16...waspromoted to Midland June 24 and was 2-1 with a 2.61 ERA in six starts with the RockHounds...struckout a season high 12 in 6.0 innings in his first Double-A start June 26 at Arkansas and was the winningpitcher in a 5-3 win...then tossed 3.2 shutout innings July 7 against Springfield and 1.1 scoreless, hitlessinnings July 11 at San Antonio before going to New York for the Futures Game July 13...returned toMidland and went 1-1 with a 1.93 ERA in two starts July 18 and 23 before joining Team USA for theOlympics...had a no decision Aug. 16 in a 5-4 win over Canada (5.2 ip, 9 h, 4 r, 3 er, 4 so)...then startedand won in the Bronze Medal game Aug. 23 against Japan, an 8-4 win (7.0 ip, 4 h, 4 r, 4 er, 3 bb, 6 so)...made one final start for Midland Aug. 28, a no decision in a 6-4 win over San Antonio. Was Arizona's second round pick in 2006 but did not sign until Sept. 1, 2006...made his professionaldebut in 2007 and was a combined 11-7 with a 3.07 ERA in 23 games, all starts, with Single-ASouth Bend and Single-A Visalia...ranked third in the Diamondbacks farm system in wins and ERA...allowed a .270 opponents batting average, including .215 by left-handed hitters and .283 by right-handers...that mark dropped to .171 with runners in scoring position...struck out 125 in 120.1 innings, anaverage of 9.3 per nine innings...walked just 21 for a strikeout to walk ratio of 5.95 to 1...only one ofthose walks was issued to a left-handed hitter...allowed nine home runs or one per 13.4 innings...eightof the nine home runs were hit by right-handers...walked two batters or fewer in all but one of his 23starts...was 8-4 with a 2.21 ERA in 14 starts at South Bend and was a Baseball America Low Class AAll-Star...was also named the number three prospect in the Midwest League by the magazine...tied forthe Silver Hawks team lead in wins despite being promoted to Visalia June 21...compiled a 1.84 ERAin five starts in April, but was just 3-2...had a season best five-game winning streak over a seven-startstretch from May 10 to June 11 (1.67 ERA)...began the streak May 10 against Beloit by striking out aseason high 10 in 7.0 shutout innings...was 3-3 with a 4.85 ERA in nine starts with Visalia...made onepostseason start for the Oaks and took the loss (4.0 ip, 3 h, 1 r, 1 er, 1 bb, 4 so, 2.25 ERA)...was tradedto the A's on December 14 and was named Oakland's third best prospect by Baseball America. 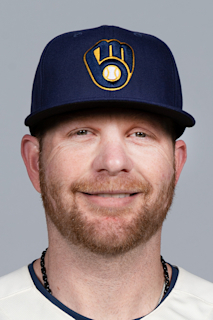 March 22, 2019 Oakland Athletics activated LHP Brett Anderson from the temporarily inactive list. March 19, 2019 Oakland Athletics placed LHP Brett Anderson on the temporarily inactive list. February 13, 2019 Oakland Athletics signed free agent LHP Brett Anderson. October 29, 2018 LHP Brett Anderson elected free agency. September 13, 2018 Oakland Athletics activated LHP Brett Anderson from the 10-day disabled list. August 28, 2018 Oakland Athletics placed LHP Brett Anderson on the 10-day disabled list. Strained left forearm. July 8, 2018 Oakland Athletics activated LHP Brett Anderson from the 10-day disabled list. June 23, 2018 Oakland Athletics sent LHP Brett Anderson on a rehab assignment to Nashville Sounds. May 19, 2018 Oakland Athletics placed LHP Brett Anderson on the 10-day disabled list. Left should strain. May 2, 2018 Oakland Athletics selected the contract of LHP Brett Anderson from Nashville Sounds. March 22, 2018 LHP Brett Anderson assigned to Nashville Sounds. March 20, 2018 Oakland Athletics signed free agent LHP Brett Anderson to a minor league contract. November 2, 2017 LHP Brett Anderson elected free agency. August 29, 2017 Toronto Blue Jays selected the contract of LHP Brett Anderson from Buffalo Bisons. August 18, 2017 Toronto Blue Jays signed free agent LHP Brett Anderson to a minor league contract. August 18, 2017 LHP Brett Anderson assigned to Buffalo Bisons. July 31, 2017 Chicago Cubs released LHP Brett Anderson. July 26, 2017 Chicago Cubs designated LHP Brett Anderson for assignment. June 25, 2017 Chicago Cubs sent LHP Brett Anderson on a rehab assignment to Tennessee Smokies. June 8, 2017 Chicago Cubs transferred LHP Brett Anderson from the 10-day disabled list to the 60-day disabled list. Low back strain. May 7, 2017 Chicago Cubs placed LHP Brett Anderson on the 10-day disabled list. Low back strain. January 26, 2017 Chicago Cubs signed free agent LHP Brett Anderson. November 3, 2016 LHP Brett Anderson elected free agency. October 23, 2016 Los Angeles Dodgers activated LHP Brett Anderson. October 7, 2016 Los Angeles Dodgers reassigned LHP Brett Anderson to the minor leagues. September 22, 2016 Los Angeles Dodgers activated LHP Brett Anderson from the 15-day disabled list. September 16, 2016 Los Angeles Dodgers sent LHP Brett Anderson on a rehab assignment to Oklahoma City Dodgers. September 3, 2016 Los Angeles Dodgers sent LHP Brett Anderson on a rehab assignment to Rancho Cucamonga Quakes. August 14, 2016 Los Angeles Dodgers activated LHP Brett Anderson from the 60-day disabled list. August 8, 2016 Los Angeles Dodgers sent LHP Brett Anderson on a rehab assignment to Oklahoma City Dodgers. July 28, 2016 Los Angeles Dodgers sent LHP Brett Anderson on a rehab assignment to Rancho Cucamonga Quakes. April 3, 2016 Los Angeles Dodgers placed LHP Brett Anderson on the 60-day disabled list. November 13, 2015 Los Angeles Dodgers activated LHP Brett Anderson. November 2, 2015 LHP Brett Anderson elected free agency. December 31, 2014 Los Angeles Dodgers signed free agent LHP Brett Anderson. November 1, 2014 LHP Brett Anderson elected free agency. August 16, 2014 Colorado Rockies transferred LHP Brett Anderson from the 15-day disabled list to the 60-day disabled list. August 6, 2014 Colorado Rockies placed LHP Brett Anderson on the 15-day disabled list. Lower back strain. July 13, 2014 Colorado Rockies activated LHP Brett Anderson from the 60-day disabled list. July 2, 2014 Colorado Rockies sent LHP Brett Anderson on a rehab assignment to Colorado Springs Sky Sox. August 28, 2013 Brett Anderson roster status changed by Oakland Athletics. August 22, 2013 Oakland Athletics sent LHP Brett Anderson on a rehab assignment to Stockton Ports. August 17, 2013 Oakland Athletics sent LHP Brett Anderson on a rehab assignment to Sacramento River Cats. June 14, 2013 Oakland Athletics transferred LHP Brett Anderson from the 15-day disabled list to the 60-day disabled list. May 12, 2013 Oakland Athletics sent LHP Brett Anderson on a rehab assignment to Midland RockHounds. May 1, 2013 Oakland Athletics placed LHP Brett Anderson on the 15-day disabled list. Sprained right ankle. August 20, 2012 Oakland Athletics activated LHP Brett Anderson from the 60-day disabled list. July 26, 2012 Stockton Ports sent LHP Brett Anderson on a rehab assignment to Sacramento River Cats. July 21, 2012 Brett Anderson assigned to Stockton Ports. March 13, 2012 Oakland Athletics placed LHP Brett Anderson on the 60-day disabled list. Left elbow injury. November 2, 2011 Oakland Athletics activated LHP Brett Anderson from the 60-day disabled list. July 31, 2011 Oakland Athletics transferred LHP Brett Anderson from the 15-day disabled list to the 60-day disabled list. June 7, 2011 Oakland Athletics placed LHP Brett Anderson on the 15-day disabled list retroactive to June 6, 2011. Left ellbow soreness. July 30, 2010 Oakland Athletics activated LHP Brett Anderson from the 15-day disabled list. July 20, 2010 AZL Athletics sent LHP Brett Anderson on a rehab assignment to Sacramento River Cats. June 21, 2010 Brett Anderson assigned to AZL Athletics. June 4, 2010 Brett Anderson roster status changed by Oakland Athletics. June 4, 2010 Oakland Athletics placed LHP Brett Anderson on the 15-day disabled list. May 29, 2010 LHP Brett Anderson assigned to Oakland Athletics. May 24, 2010 sent LHP Brett Anderson on a rehab assignment to Sacramento River Cats. April 27, 2010 Oakland Athletics placed LHP Brett Anderson on the 15-day disabled list retroactive to April 25, 2009. Left elbow inflammation and a left forearm strain.